Our most popular program is our full-service, outsourced social media management offering. As your turnkey marketing/social media department, we handle all strategy, content creation, platform monitoring, responses to your fans and followers, and regular analytics to track performances and goals. Social Media sites change so quickly and frequently that if you aren’t an expert, your likely missing the power of connectivity. Let us show you what is possible by being the outsourced digital marketing expert on your team the results are mind blowing. Audits matter for everyone and Focal Point can help! 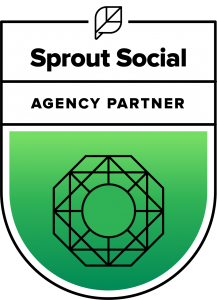 Our social media audit looks closely at your social media activity, results, audience, and ad spend. We also provide you with a competitor analysis. This audit is a full examination of how your brand looks on social media channels to make sure you are performing at your highest and best level. Focal Point also offers consulting on social media to analyze existing programs and propose adjustments to platforms, engagement strategies, content, and more. We help our clients grow their presence, their internal understandings of social media and their conversions. The most critical element of social media is the strategy behind it. We offer written guidance for social media objectives, guidelines for engagement, target audiences and strategies for social media behavior. But most importantly, we develop your core business goals, create plans around those core goals, and help you achieve the desired results. Many organizations engage our team to train. We offer social media organizational training for boards, staff, and key people involved with the organization to teach them how to best use social media to drive the mission and vision of their business or nonprofit. Focal Point also helps organizations find qualified people for vacant or new positions within organizations. By using our unique technology to leverage social media tools, we can help you find key employees with the exact skills you need. Plus, our fee is upon placement only. Word of mouth has always been the best form of referrals/conversions. We see it every day. When a trusted advisor recommends someone, the person receiving the recommendation always reaches out, takes the meeting and listens to what is being offered. Today, we have incredibly powerful technology tools, like LinkedIn, that can mobilize networks and generate massive opportunities. We train sales and management teams how to best utilize LinkedIn, target prospects, get appointments and achieve results. In a global and technological based world, how we leverage and utilize the tools that exist often define how far we will go and how successful we will be. Let us show you what heights are possible today.